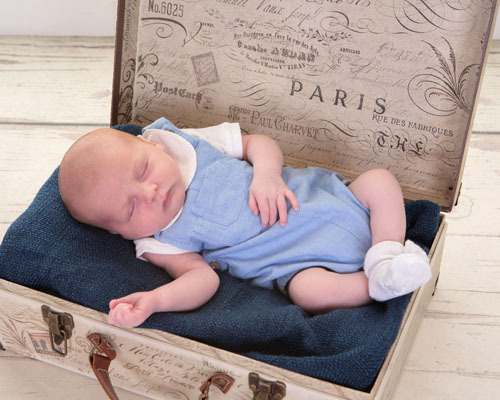 At Village Photography we recommend the best time to have your newborn baby photographed is within the first 5 to 15 days, this is because your baby is still very sleepy, very flexible and perfect for those sleepy curly poses that we have all seen and love. 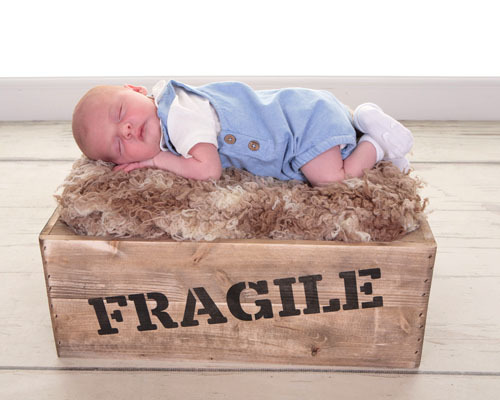 A lot of photographers don’t like to photograph babies between 6 weeks and 6 months as they believe there isn’t many poses that you can do with a older newborn baby, but at Village Photography I love to photograph babies at every stage! 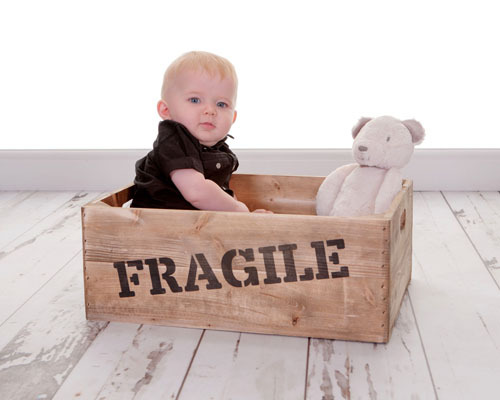 Once your baby starts to grown out of the newborn stage at around 4 to 6 weeks, you may start to notice that your beautiful baby doesn’t sleep as much, is starting to become more active and is reacting more to sounds, lights and Mam and Dad’s voice and happy smiling face. Your baby will be a lot stronger, will have filled out and grown in length making it a lot less likely your baby will be able to curl up allowing me to pose them in certain positions. But don’t worry it doesn’t mean your baby is to old, just that they are moving onto the next stage and gives us the perfect opportunity to capture those beautiful big smiles, which is why we love photographing older newborn babies. We loved capturing Logan who at 4 months old was a darling to work with. We love Black and White images. Village Photography, Older Newborn Photography, Black and White Images. 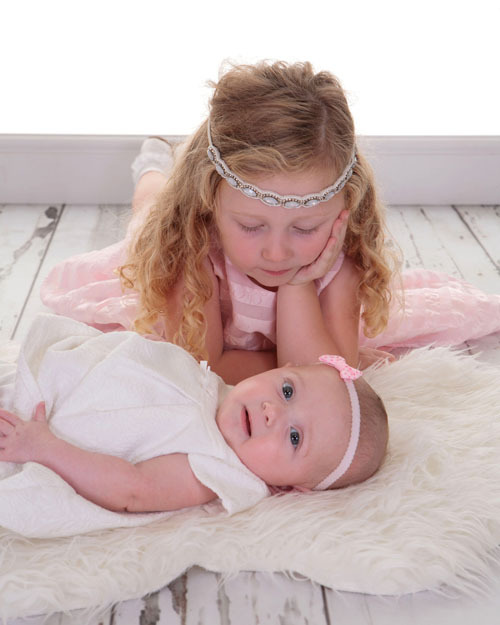 We have a beautiful range of props (that never seems to stop growing) that we use to lie your baby on and a range of outfits and hats that we can use to help us to create and capture beautiful images to show off those gorgeous eyes and cute smiley grins! 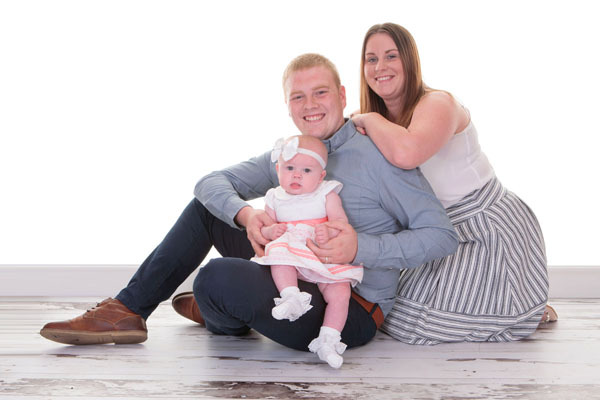 Any members of your family are always welcome to join in here at Village Photography, which is why we love Mams, Dads and not forgetting any other little siblings join in, as Parents and siblings make great props!